It has been in the headlines recently that a gardener collapsed and tragically died after coming into contact with the deadly Wolfsbane plant – according to the coroner. After attending to the garden as part of a huge estate, Nathan Greenaway collapsed and was rushed to the hospital. After numerous blood tests and examinations, doctors were unable to establish the cause. Unfortunately, Mr. Greenaway died shortly afterward. There are many cases around the world where people have been harmed and even killed by certain deadly flowers. As children, we were warned by parents of the nettles that may sting you and the poisonous mushrooms that may make you ill – but even in adult life, there are potential hazards. The English broom is native to England and can also be found in central Europe. This beautiful yellow bloom almost looks like a bunch of small bananas but, it is dangerous. Its scientific name is cytisus scoparius and contains a number of toxic chemicals which affect your heart and can ultimately stop your nervous system and your heart beat. This flower is thought to be considerably dangerous to both children and pregnant women. Its scientific name is: Aconitum (pictured) and is often found in Western Europe. This is one of the most poisonous flowers known to man. 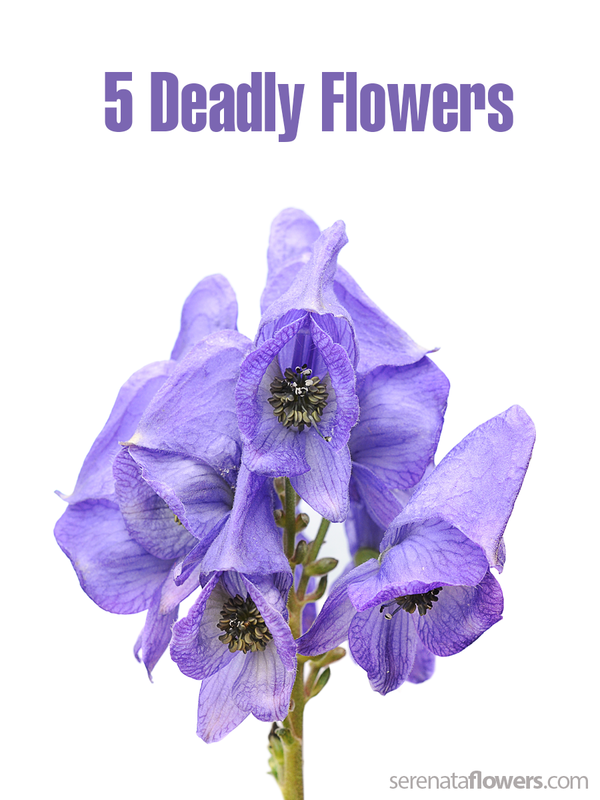 With its beautiful purple coloring and elegant appearance, the Monkshood is extremely toxic. It contains very large quantities of the poison named: pseudaconitine. If this poison is digested into the human body it will lead to instant death – by merely touching it, you will go numb. These flowers are beautiful, delicate and look like something out of a Christmas film. However, they are far from harmless. Their scientific name is: ageratina altissima and originate from North America. The plant contains the poison named: tremetol that is fatal to humans. These are also known as dead man’s bells – this is one of the most beautiful flowers but also one of the most dangerous. The symptoms this plant can cause include: nausea, convulsions, delirium and tremors. Every part of the flower, from the petals to the roots is poisonous. The scientific name for this is known as: Convallaria majalis. This is a highly poisonous plant and is often found in both Asia and Europe. It comes with beautiful bell shaped flowers which are highly attractive however, contains violent toxins which can stop the heart beating.